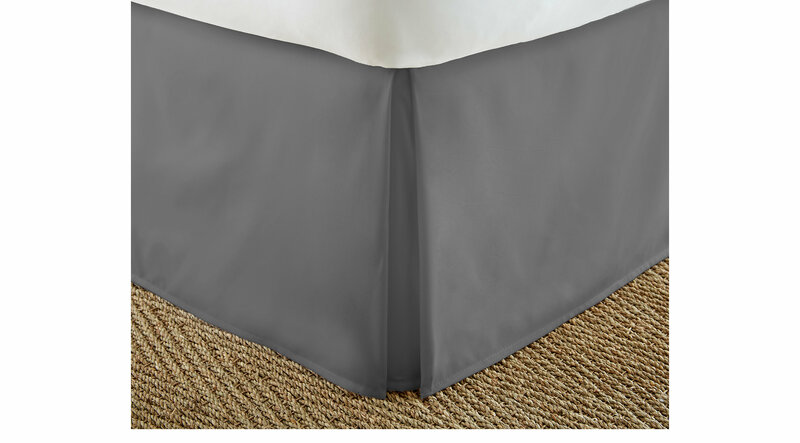 The Belden Landing bed skirt features 100% ultra-plush microfiber yarns for a luxurious texture and durability. Perfect for concealing bedposts or items stored under the bed and protects against the accumulation of dust. This pleated bed skirt is resistant to fading and shrinking and will add the perfect touch to your bedroom decor.